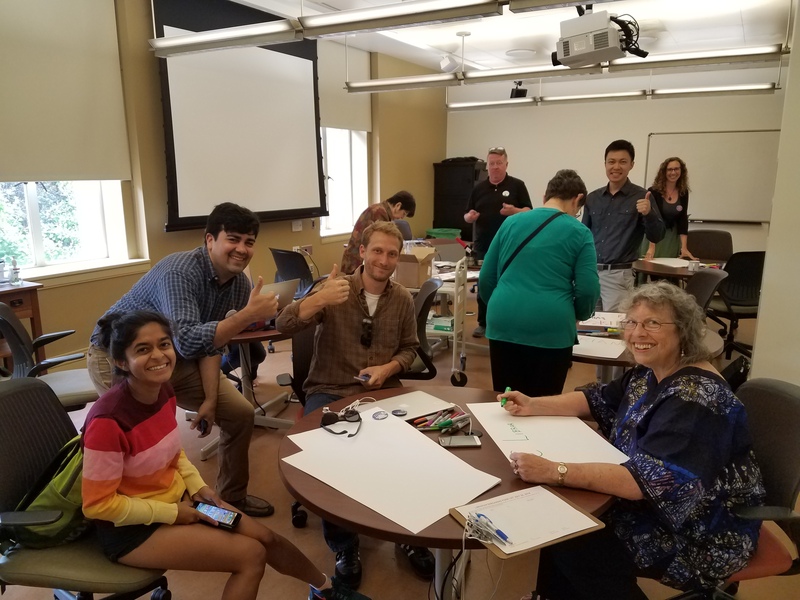 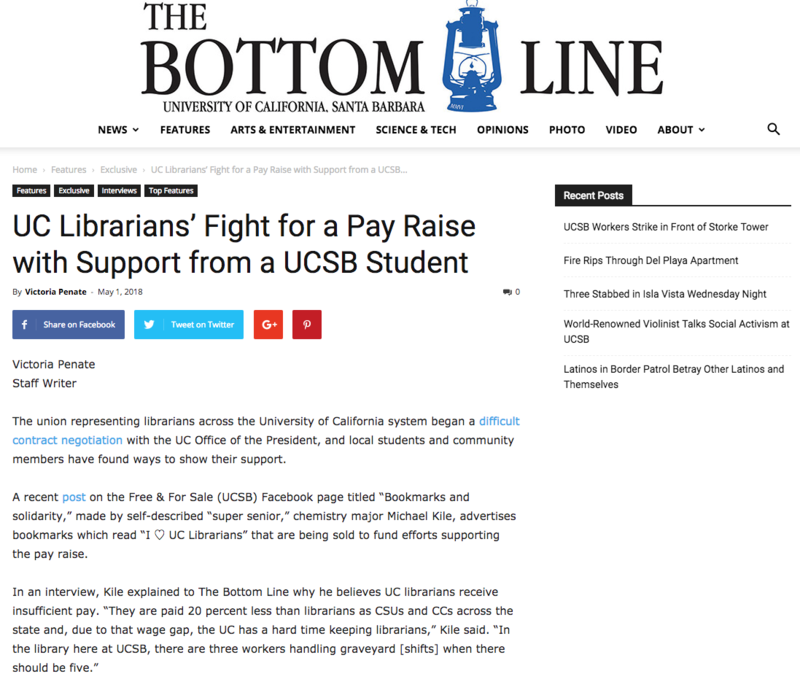 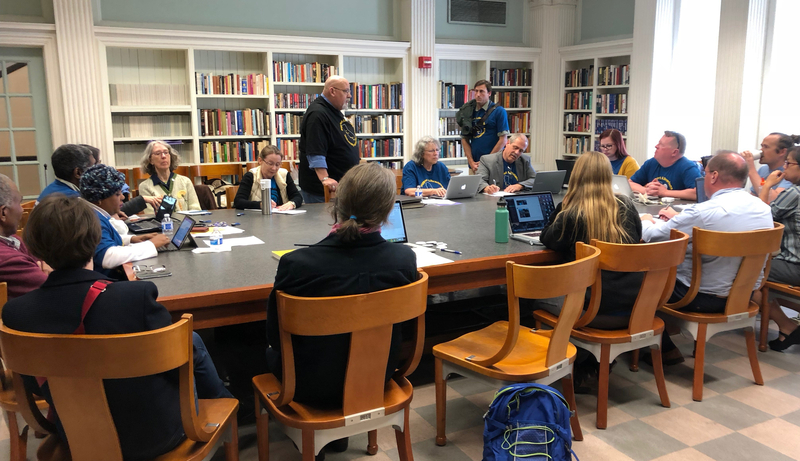 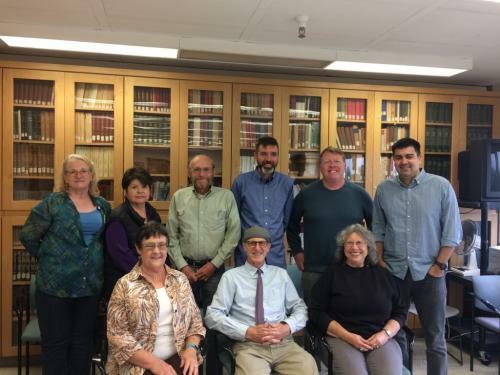 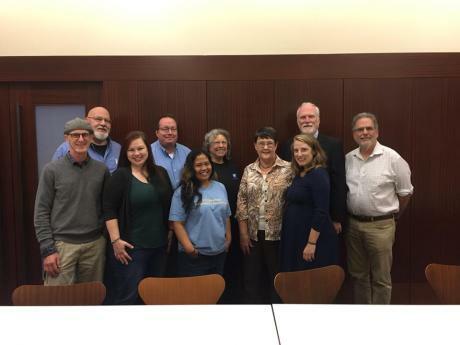 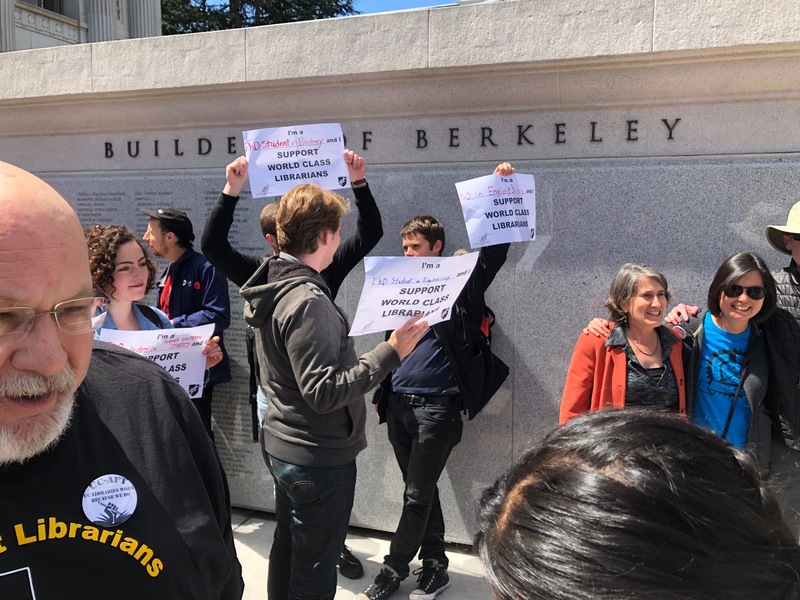 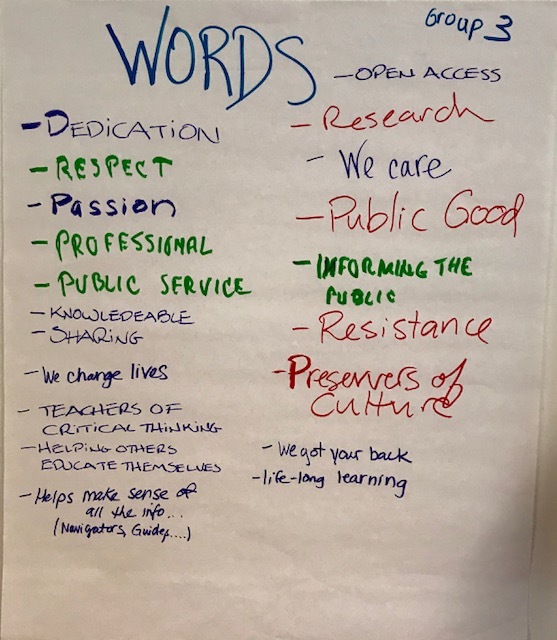 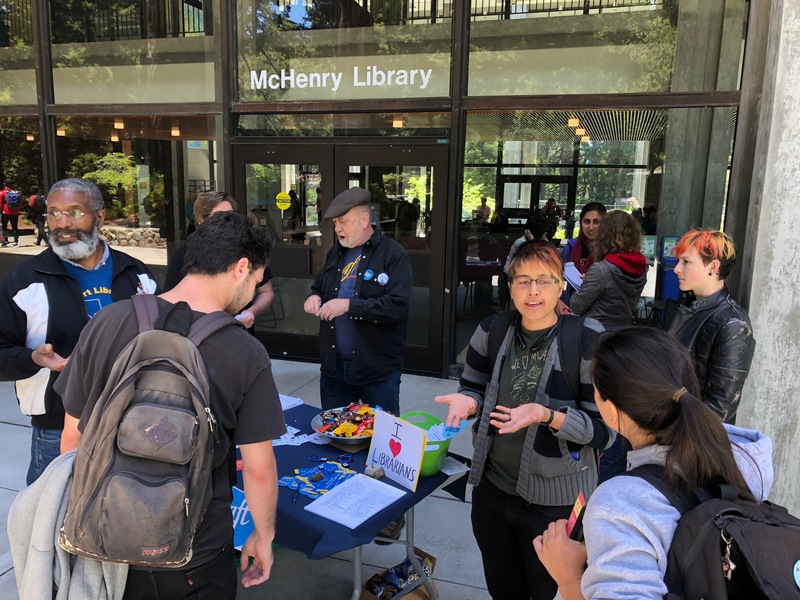 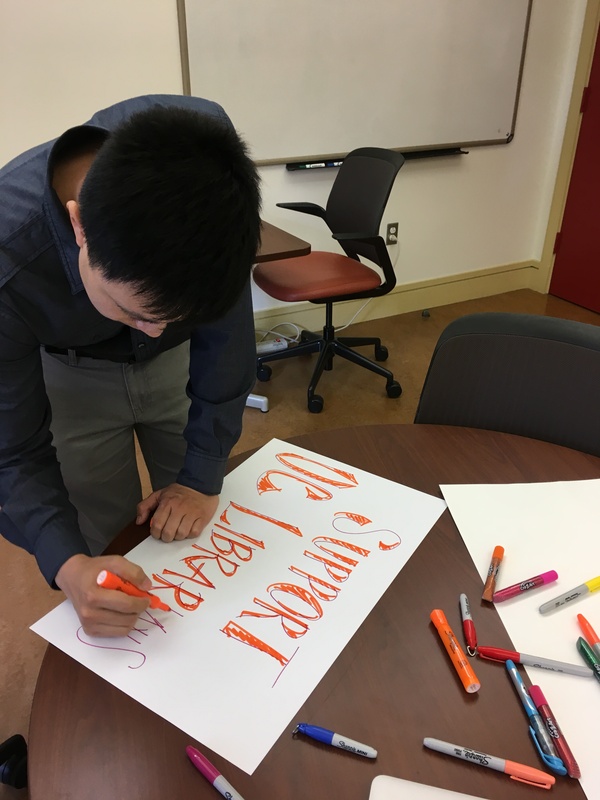 Barbara Fister has taken notice of our struggle for academic freedom, has signed our petition, and written a fantastic essay of support on her Library Babel Fish blog at Inside Higher Ed. 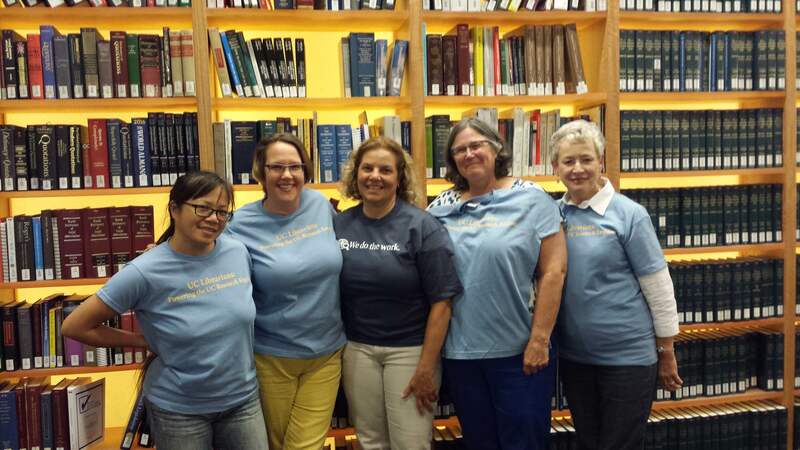 We thank her for her support & highly recommend you give it a read! 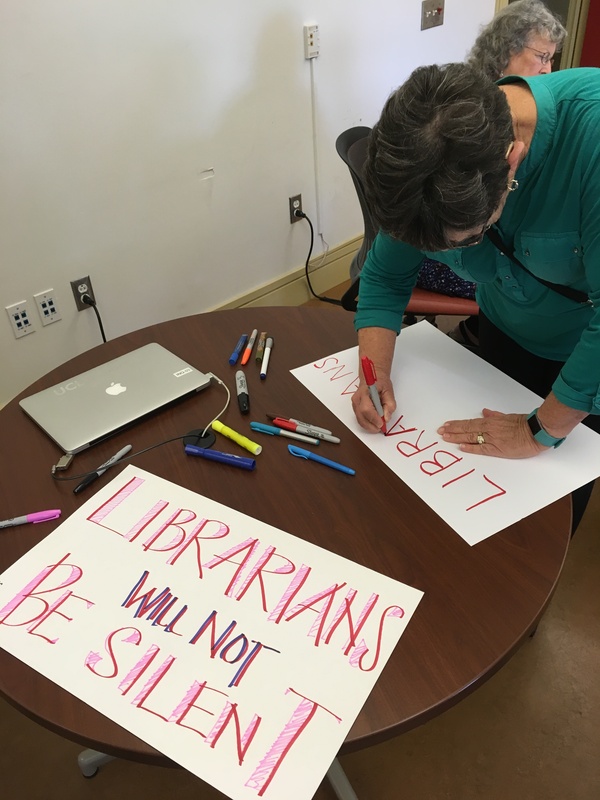 The Petition is now closed – thank you for your support! 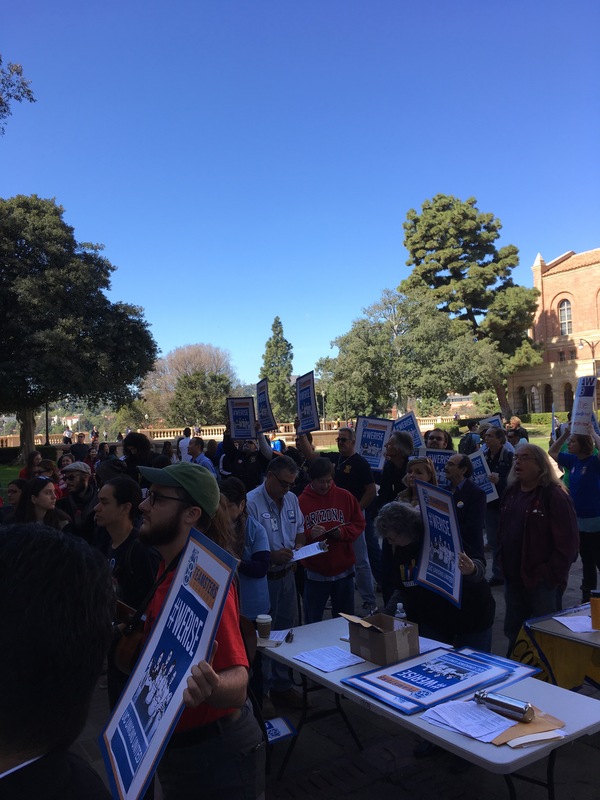 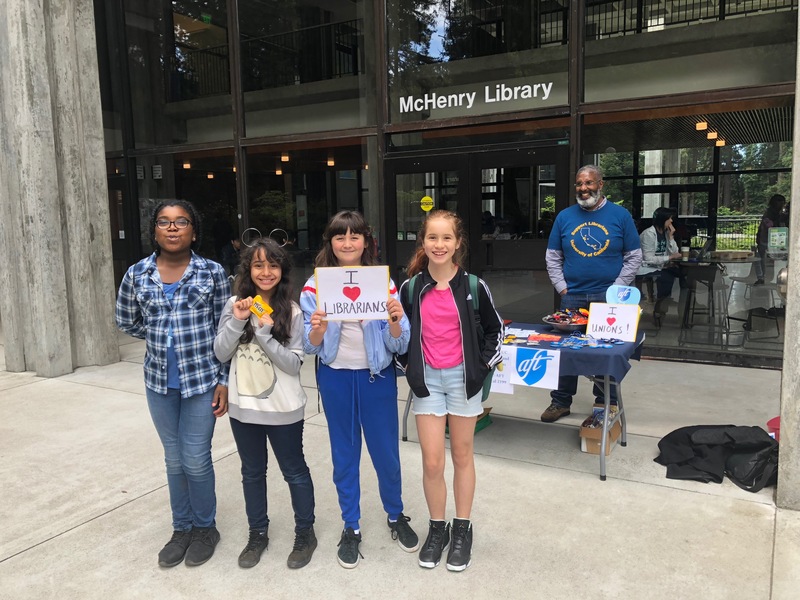 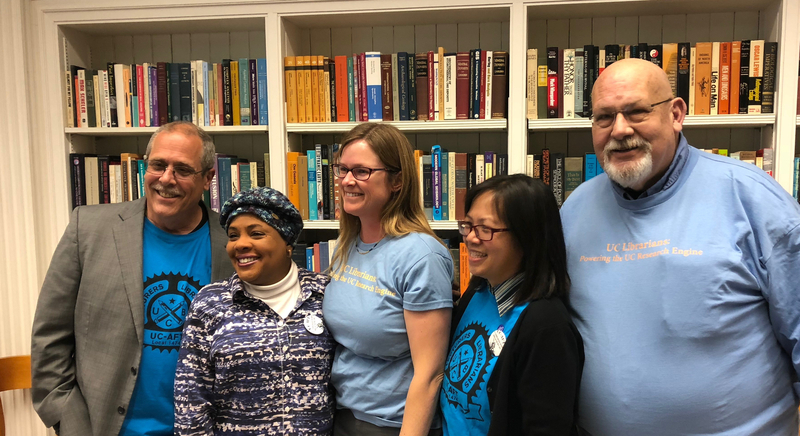 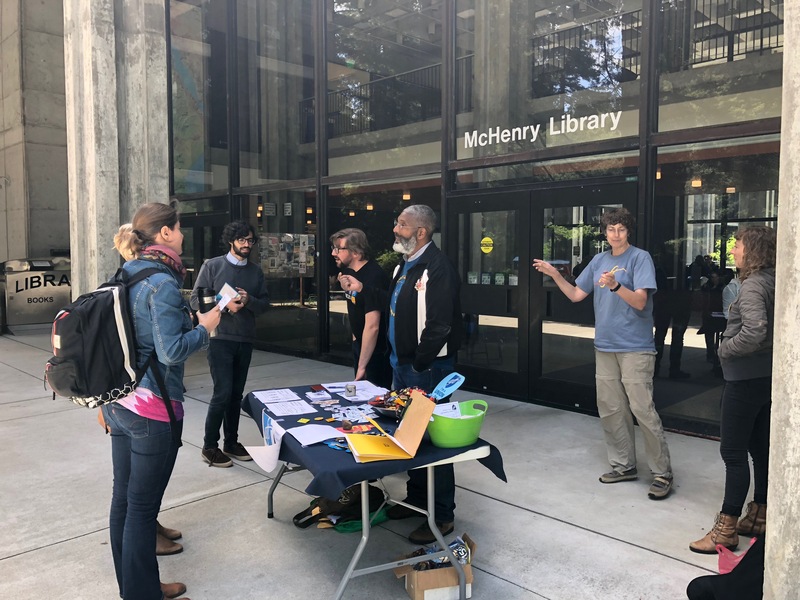 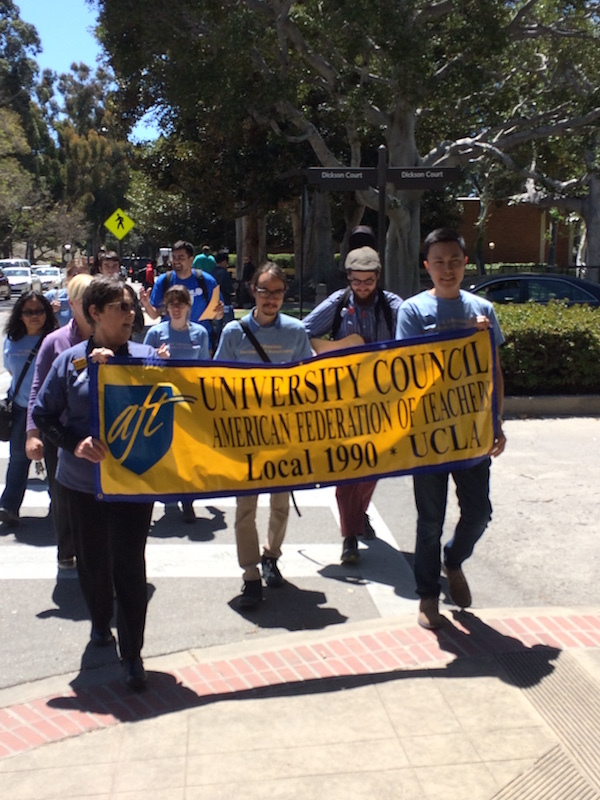 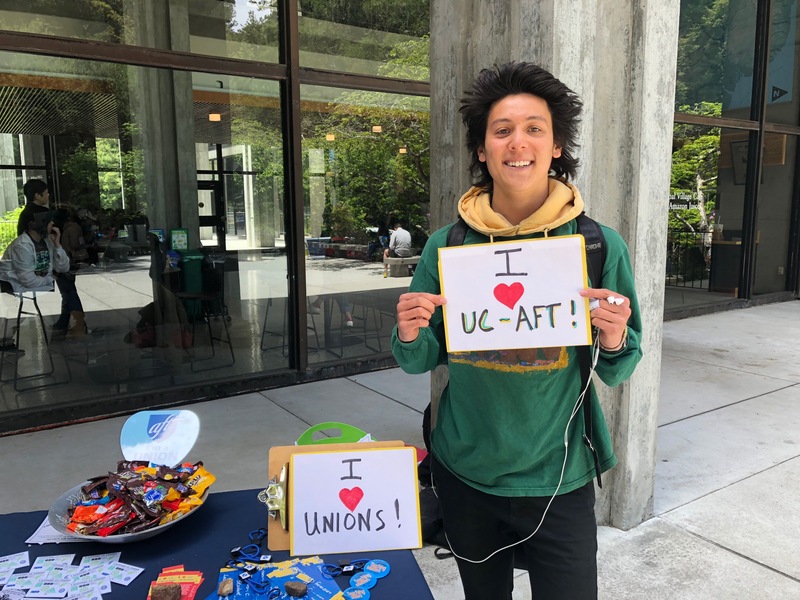 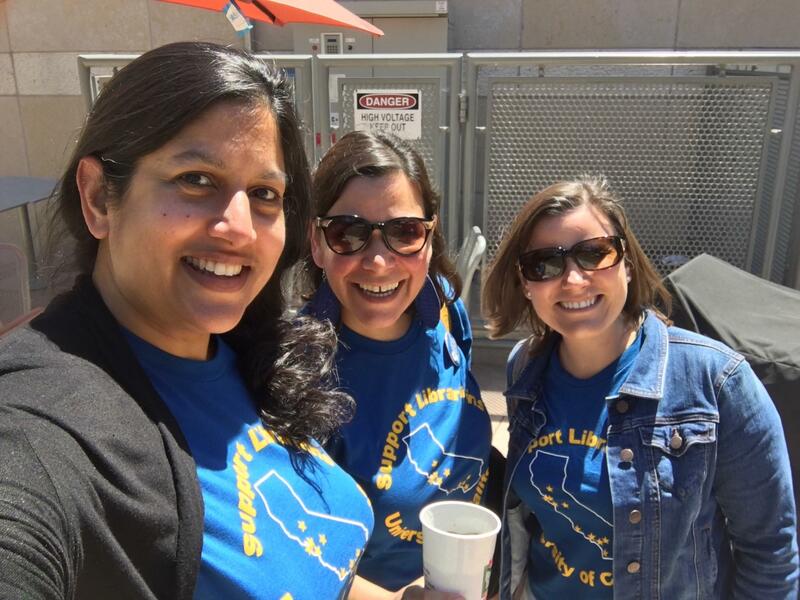 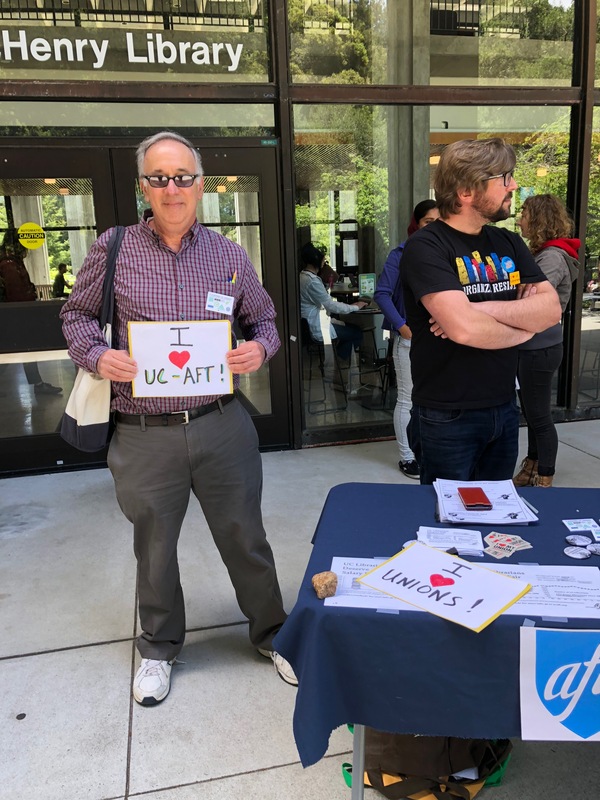 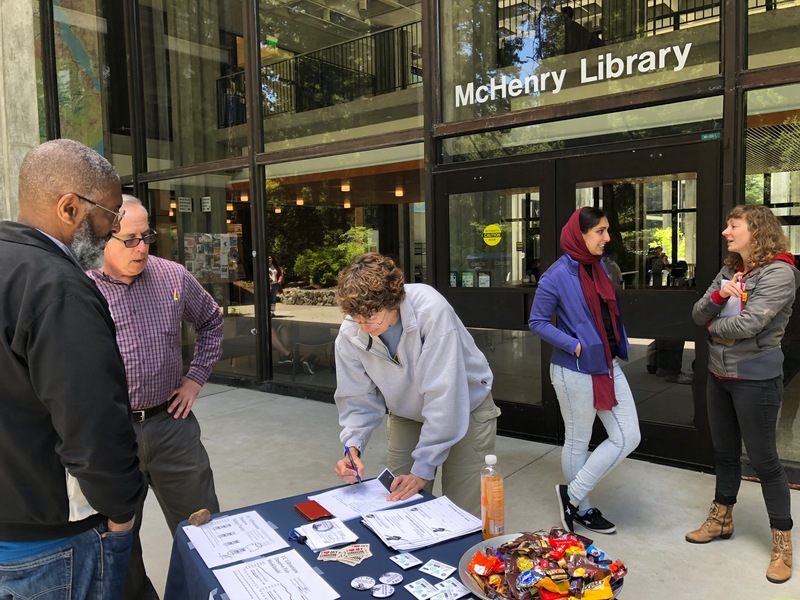 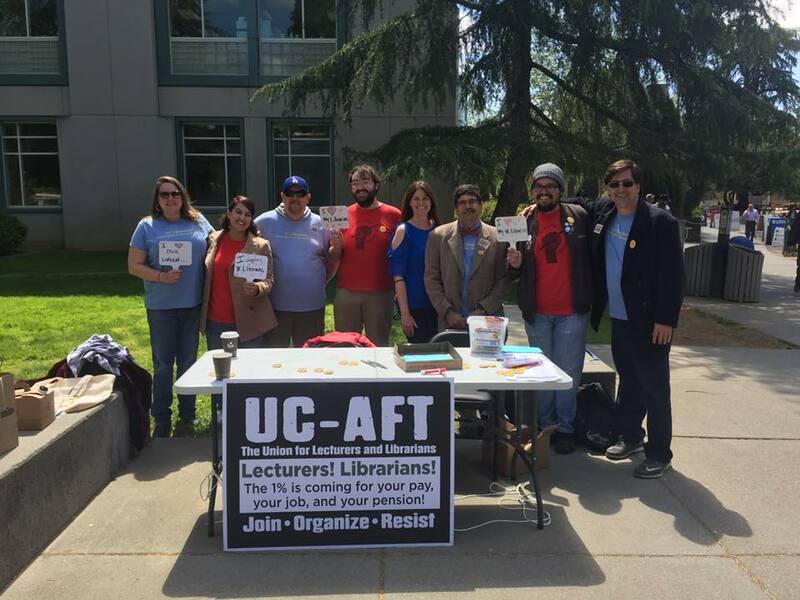 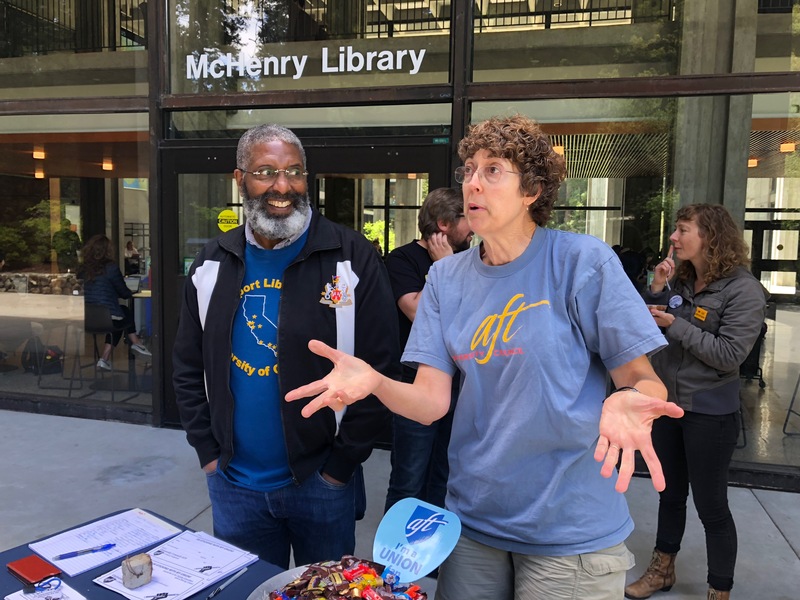 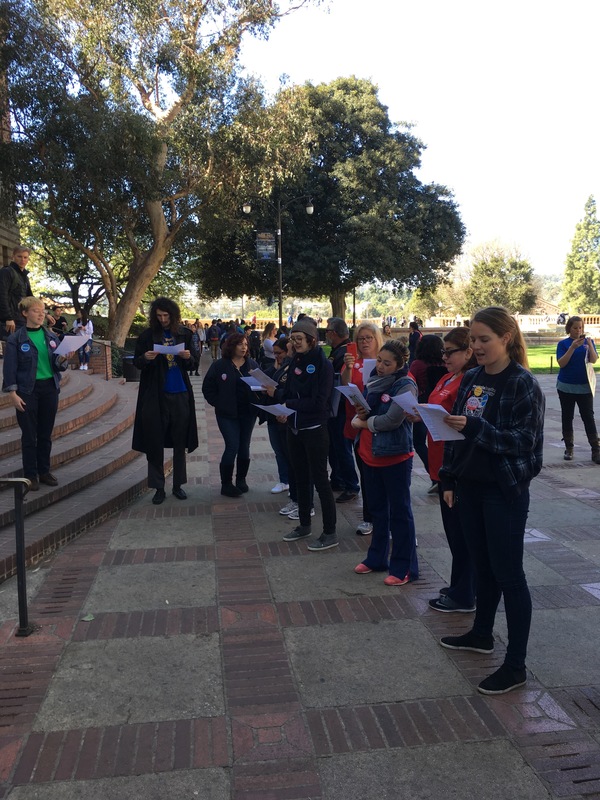 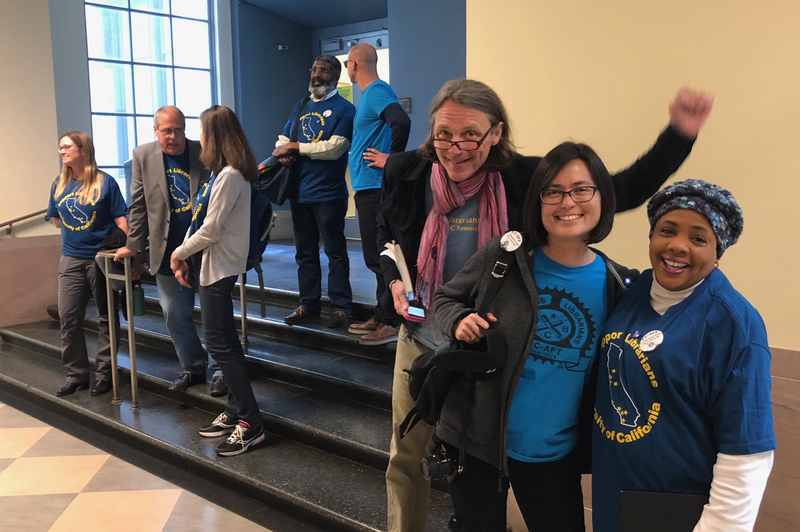 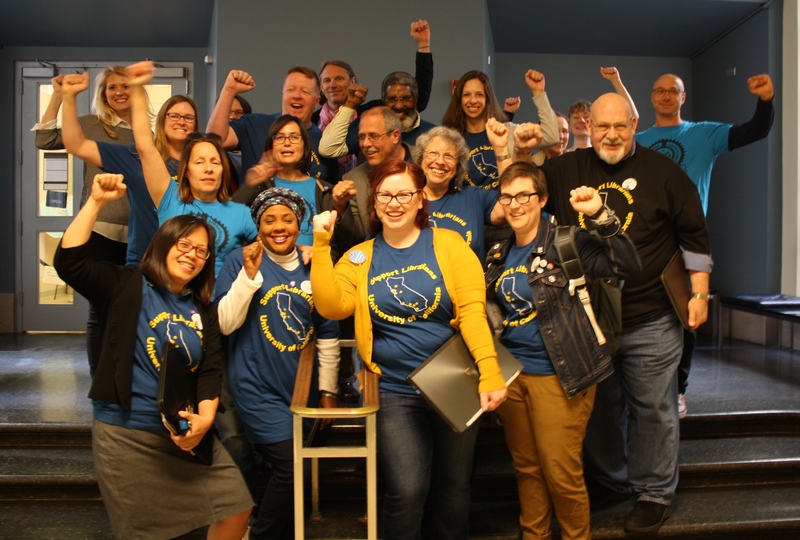 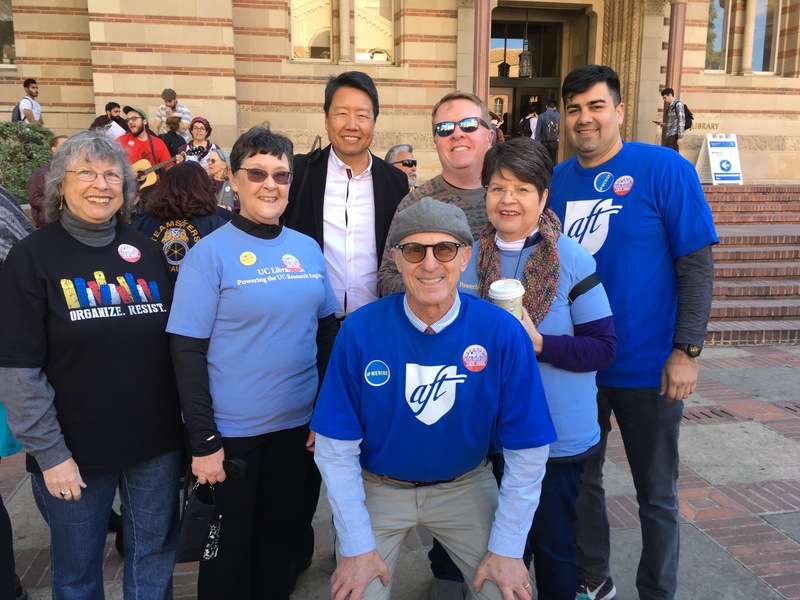 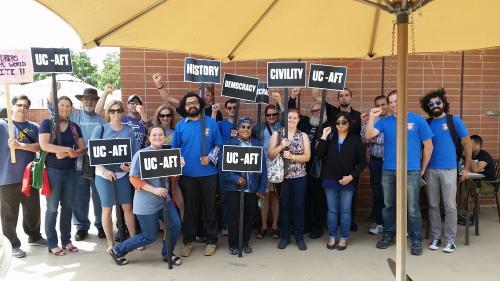 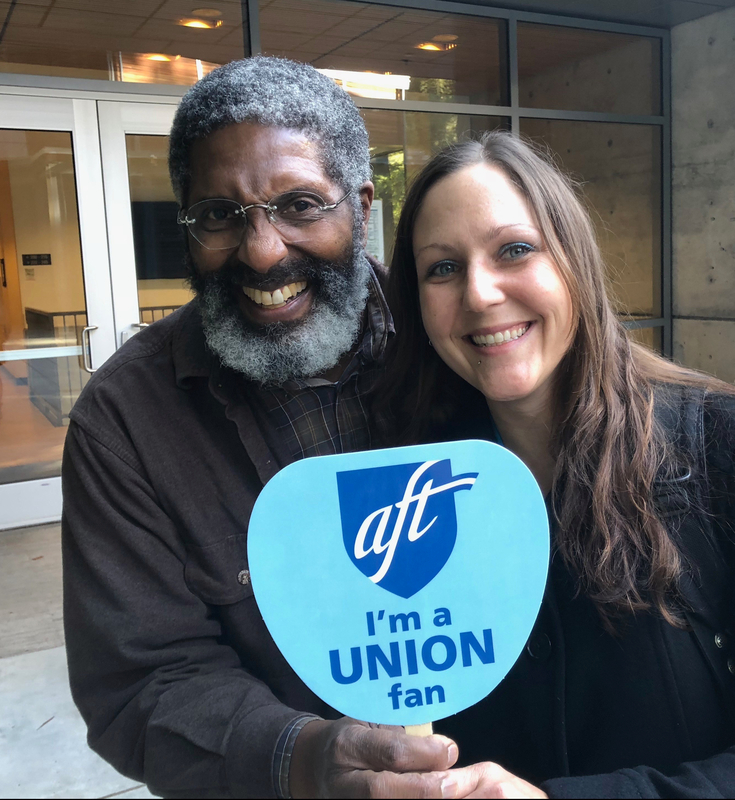 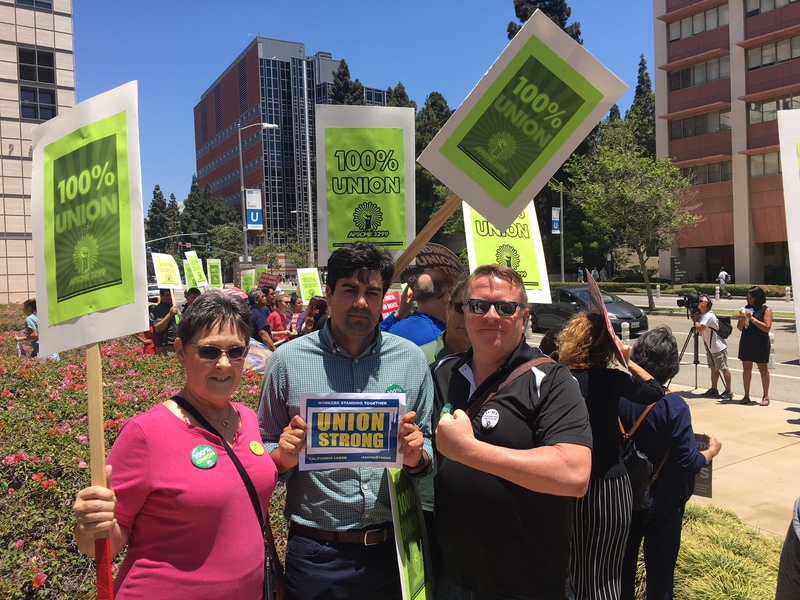 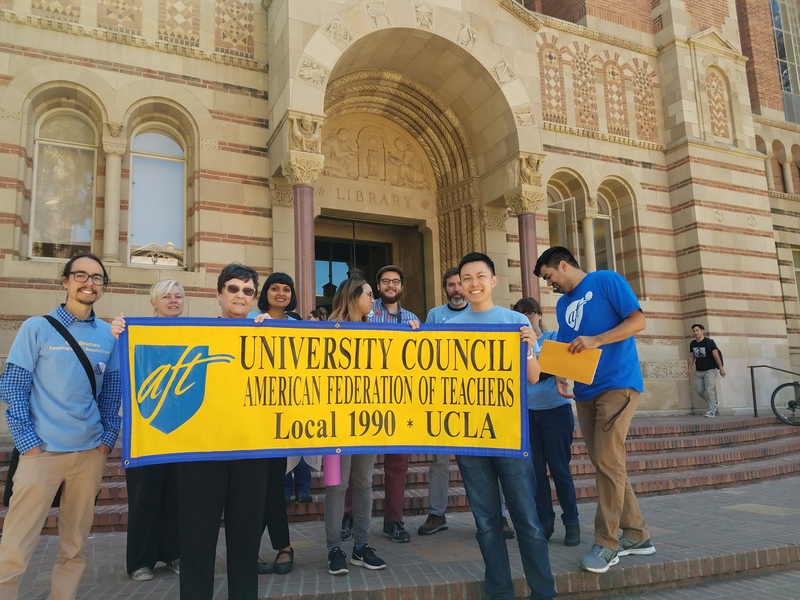 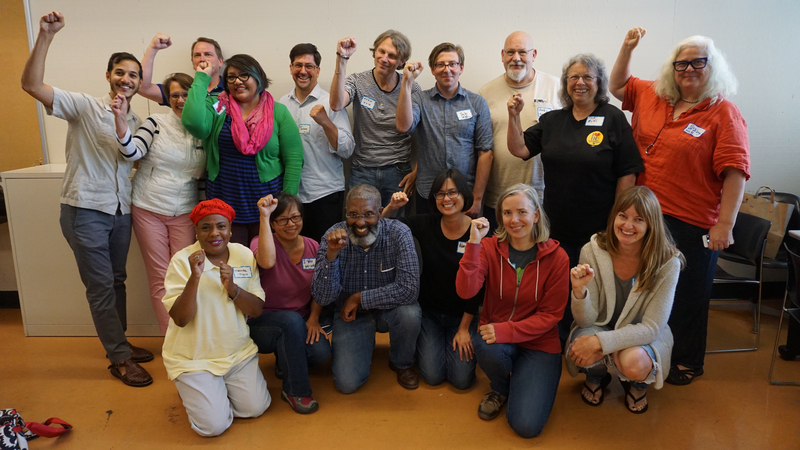 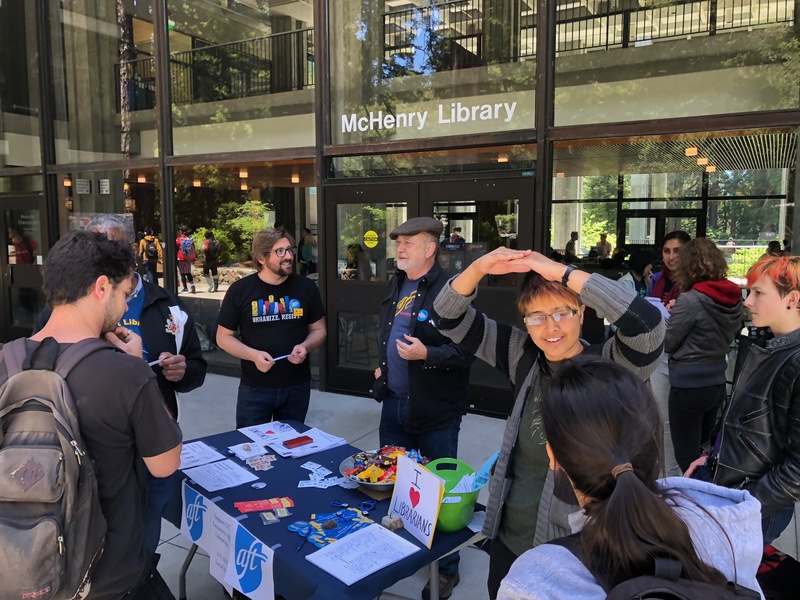 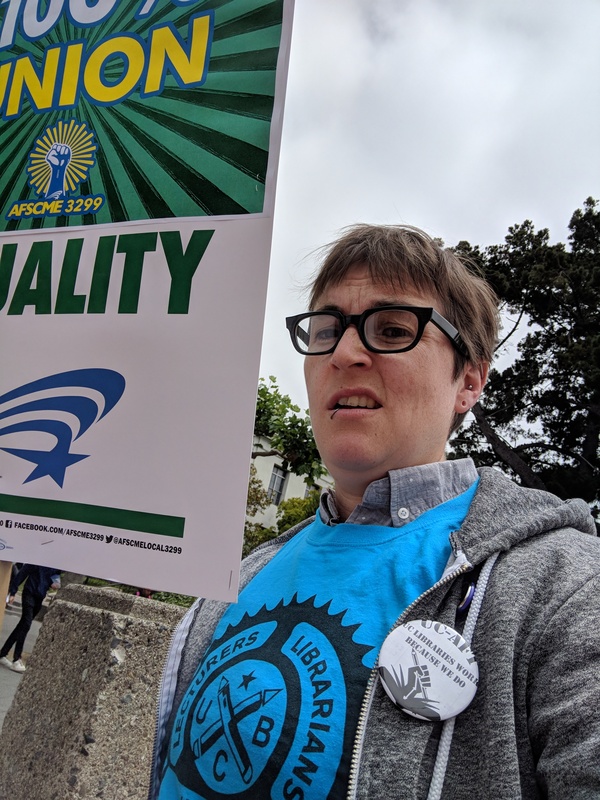 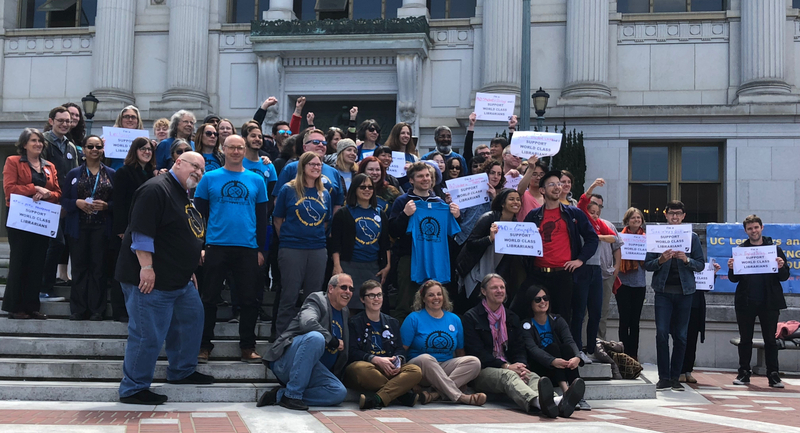 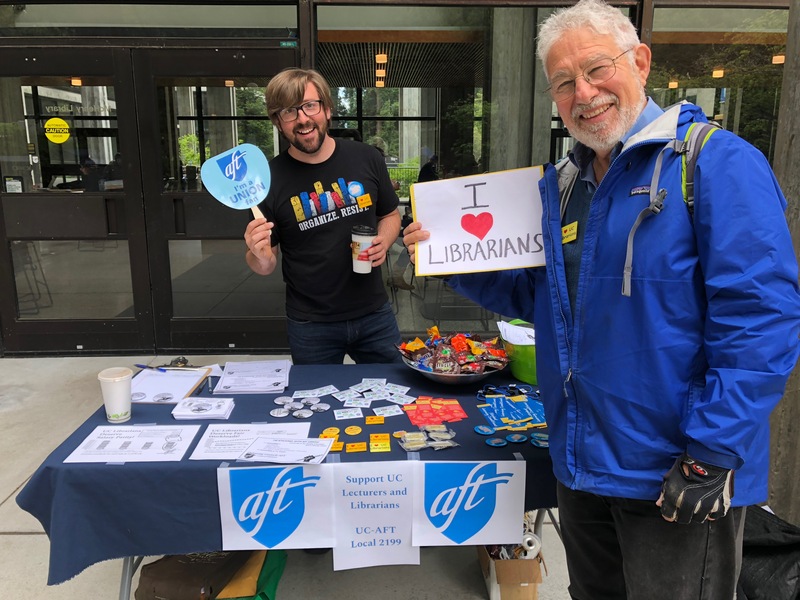 UC AFT Local 2023 and UAW 2865 tabling on opening day of librarian contract bargaining on April 17. 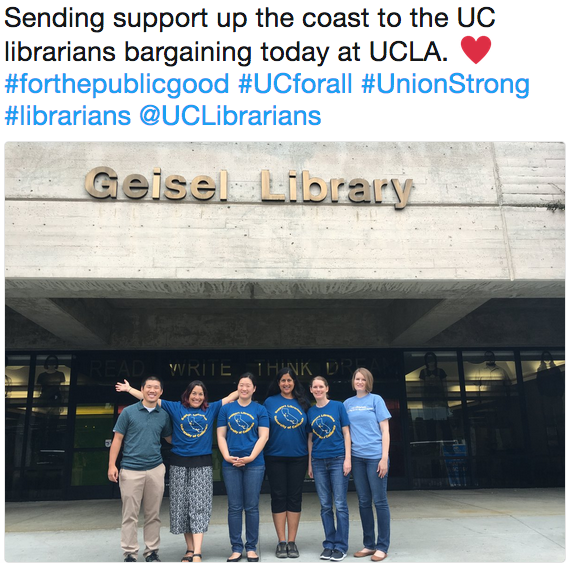 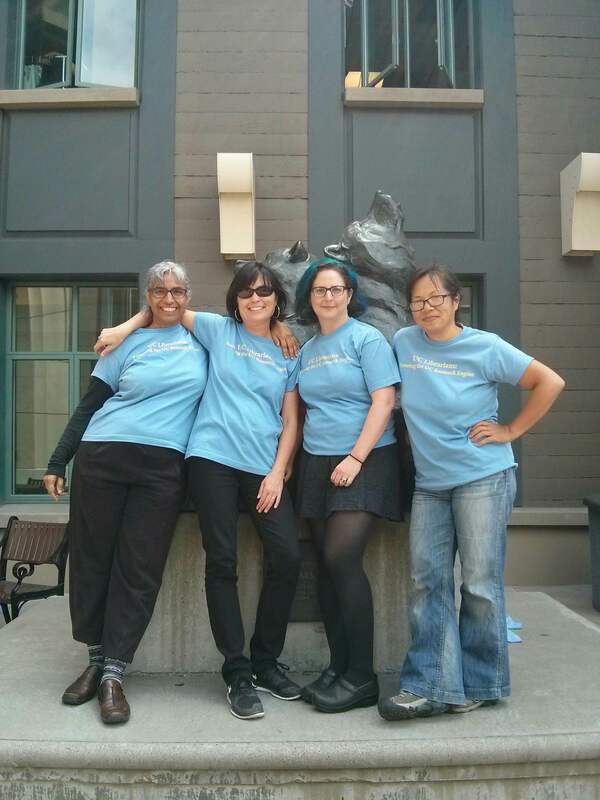 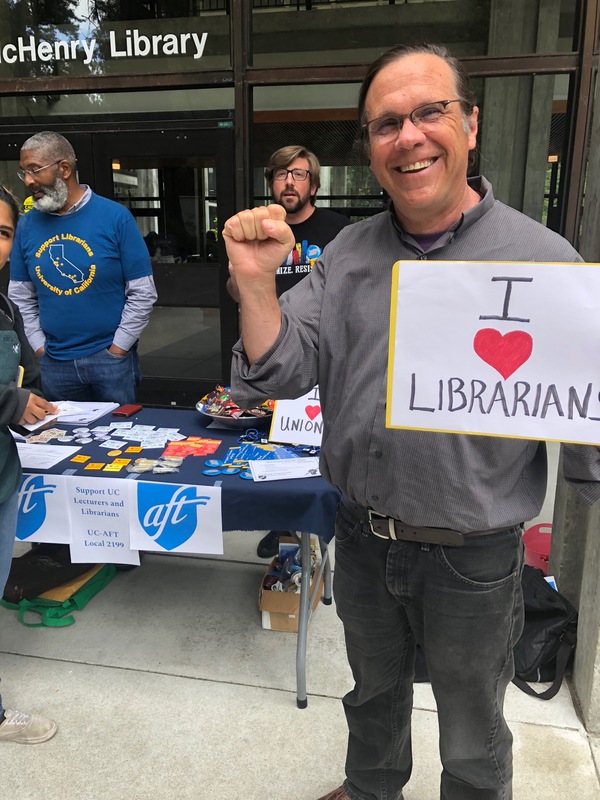 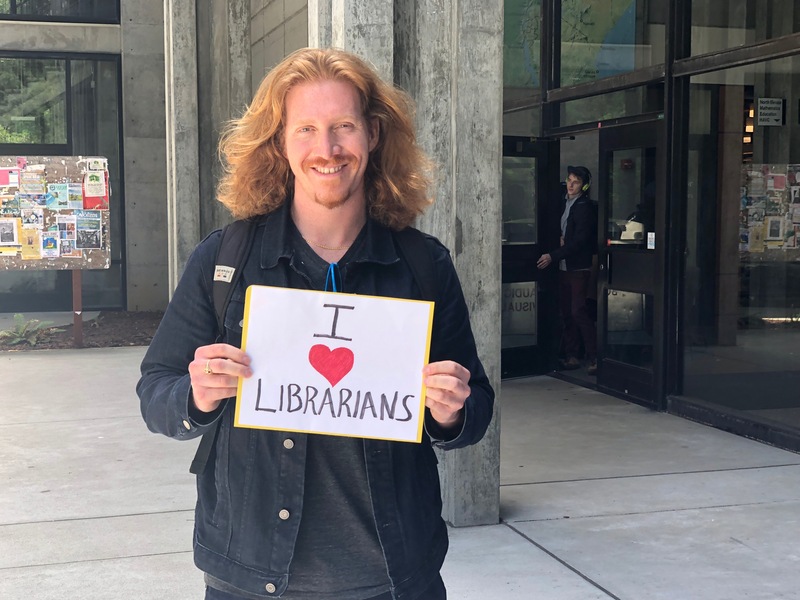 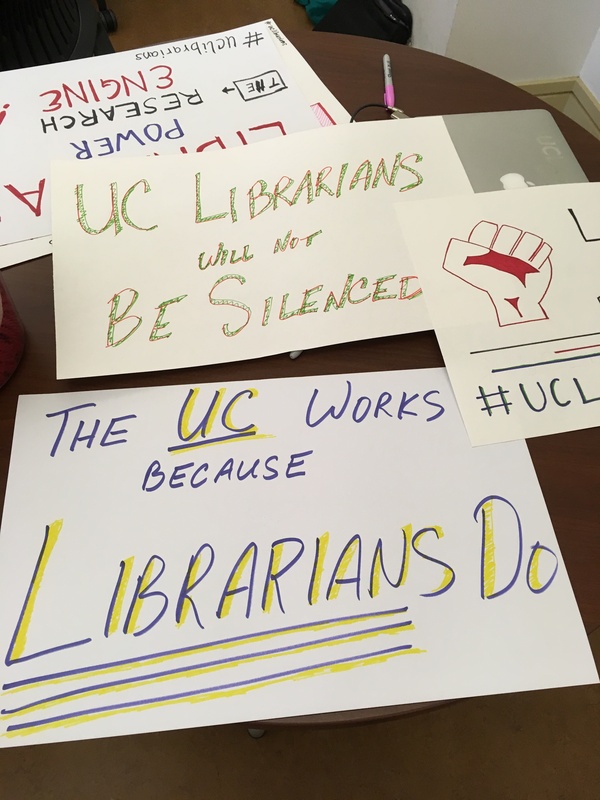 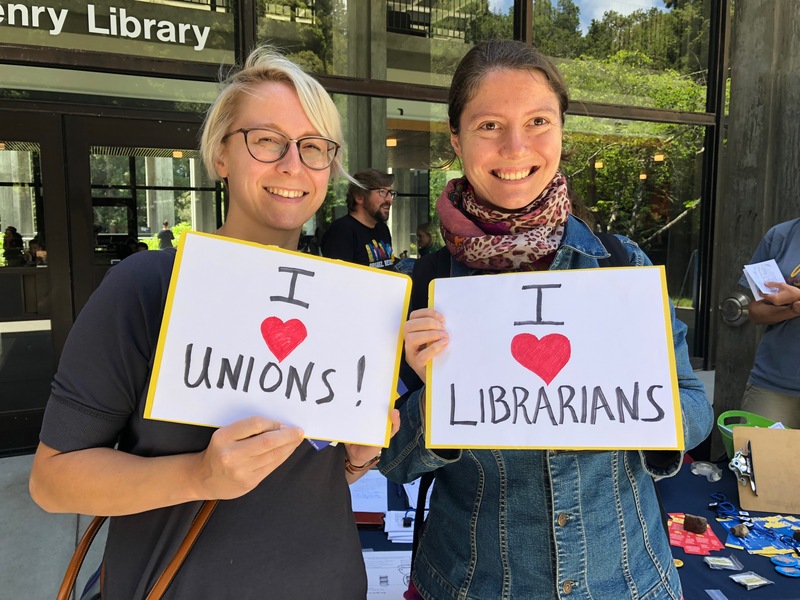 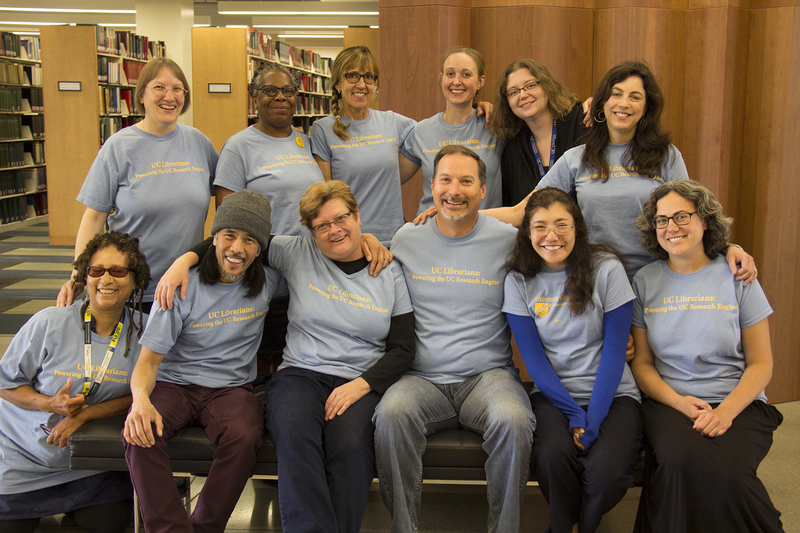 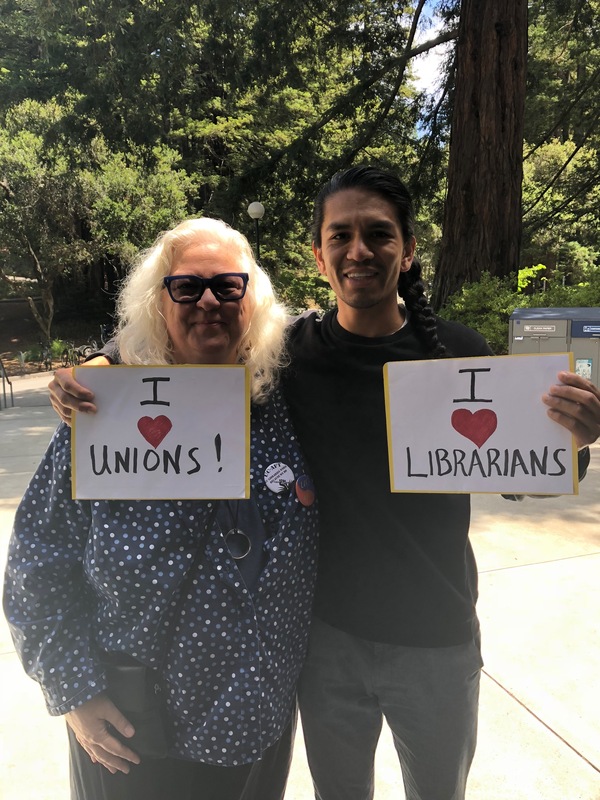 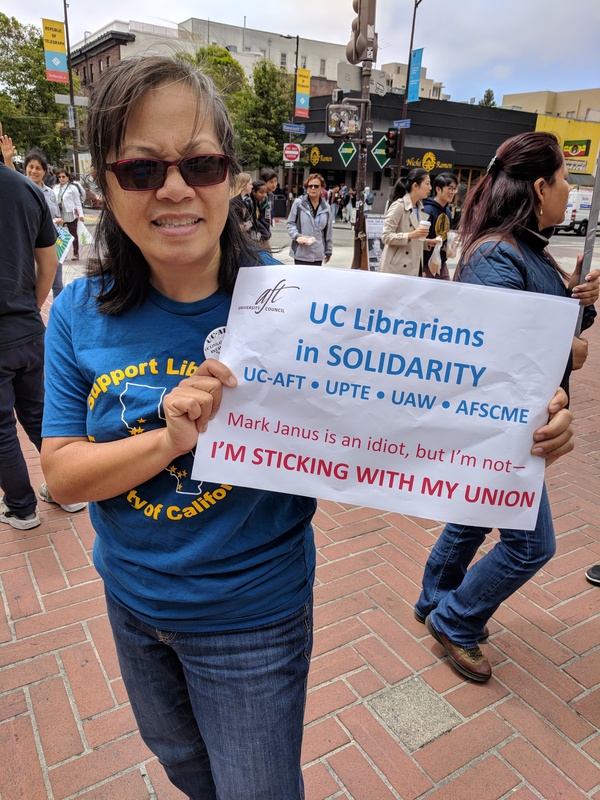 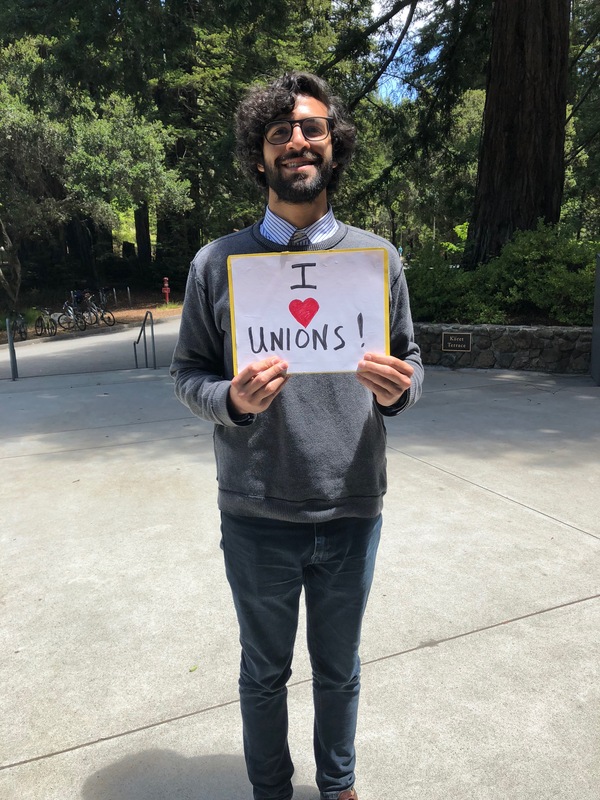 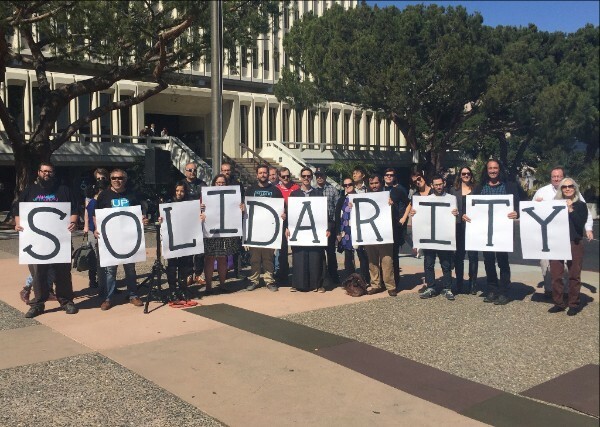 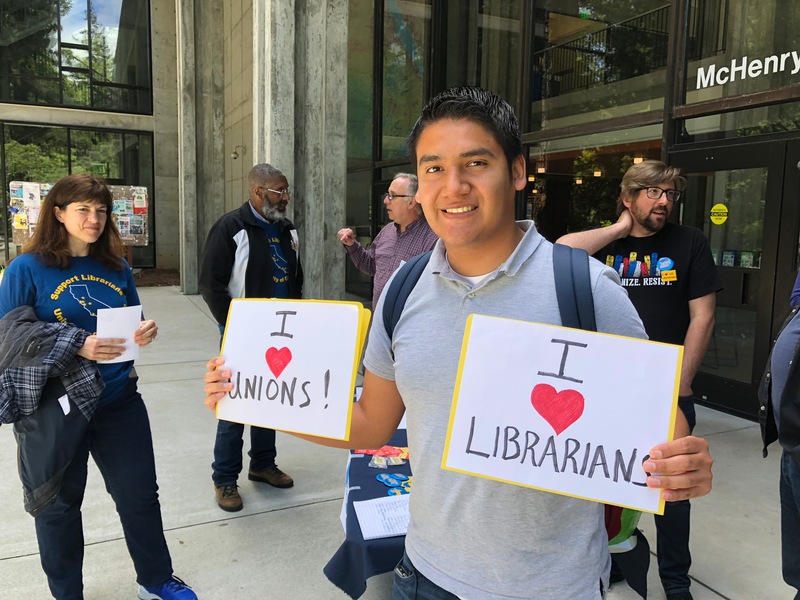 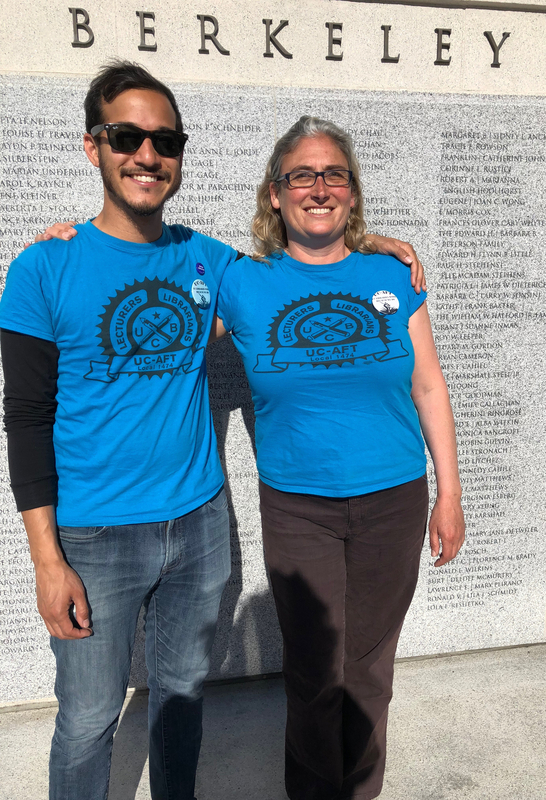 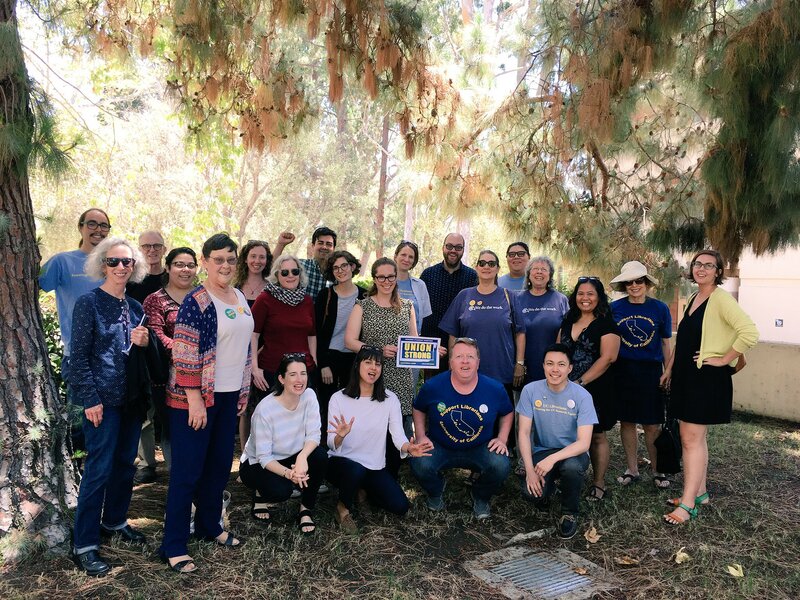 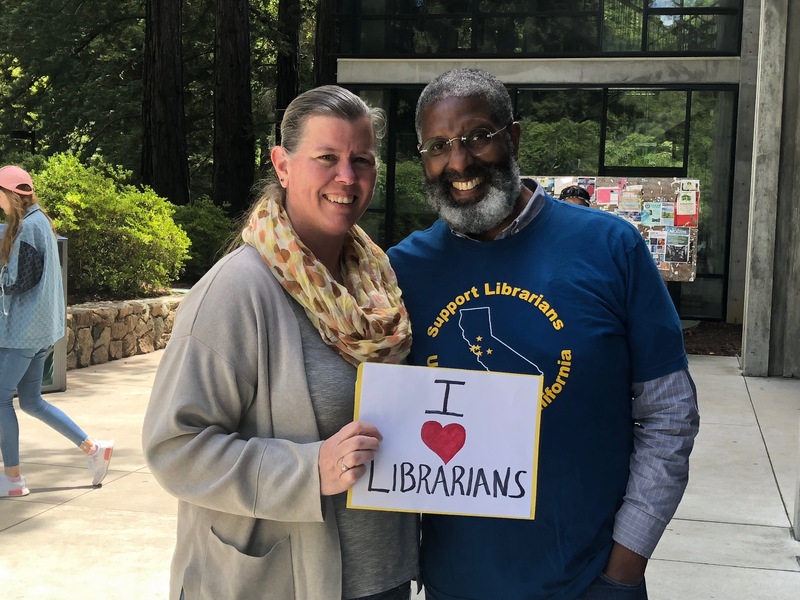 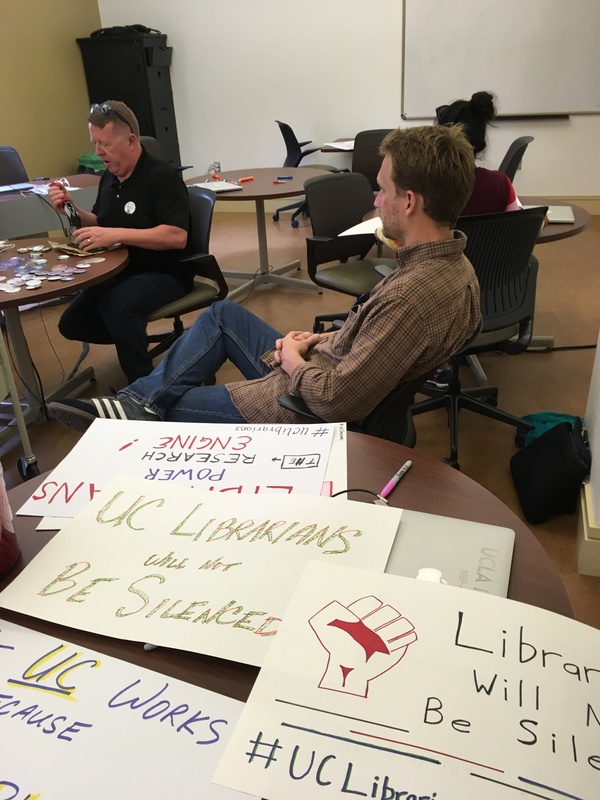 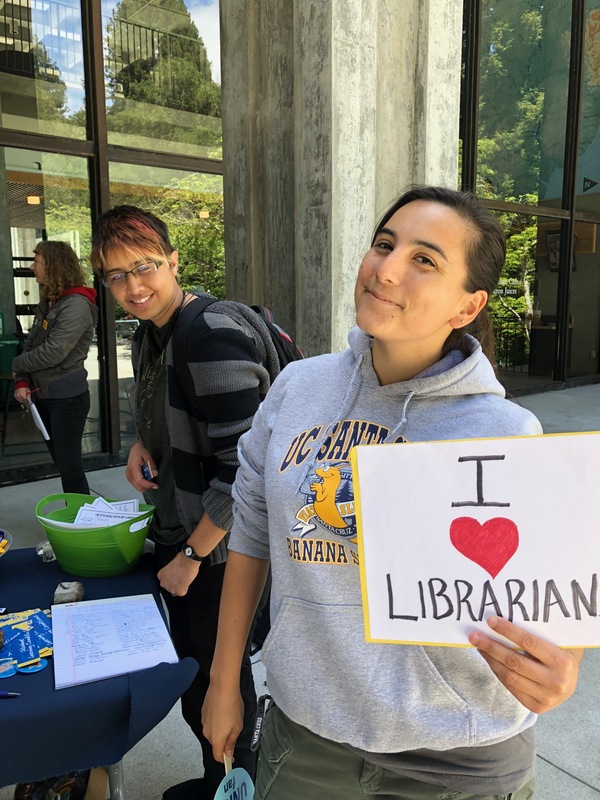 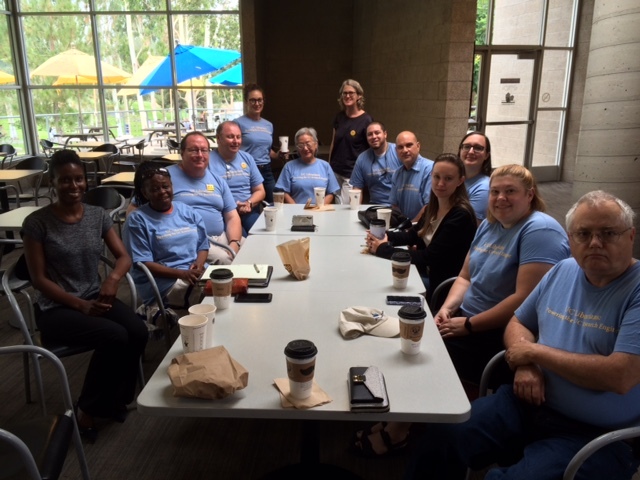 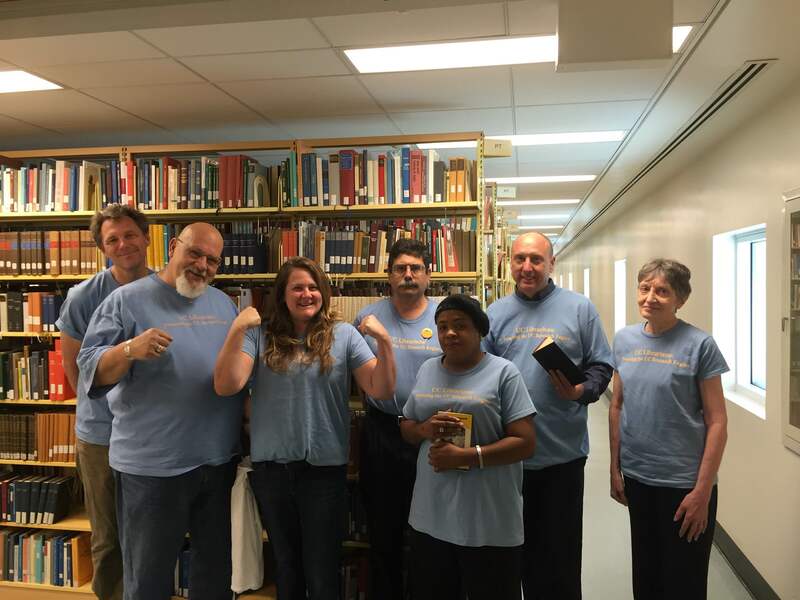 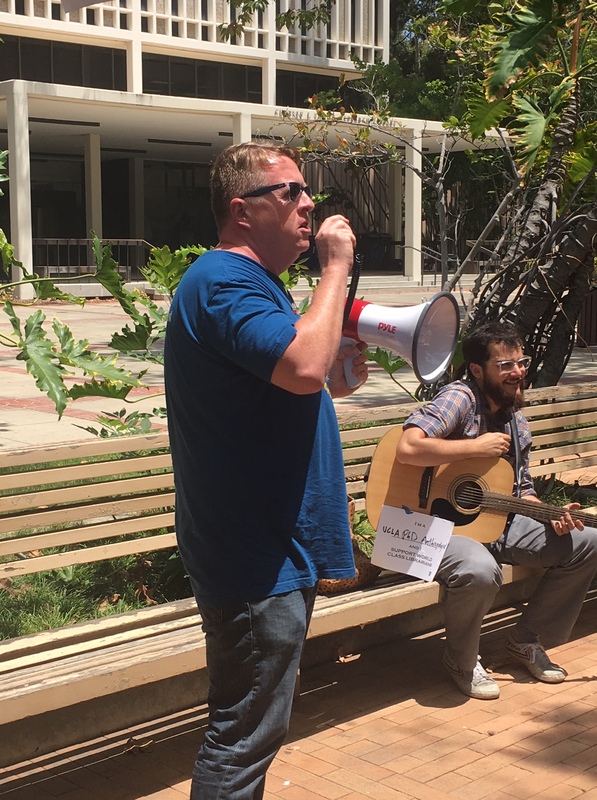 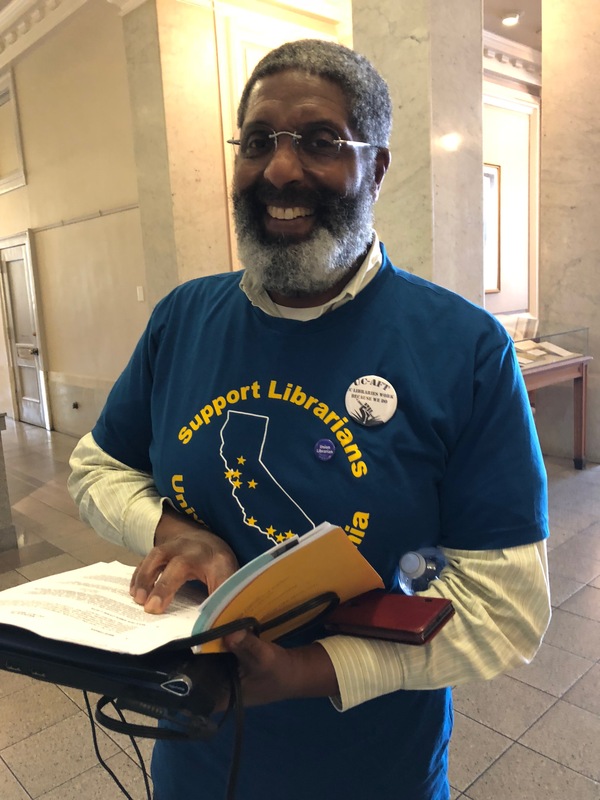 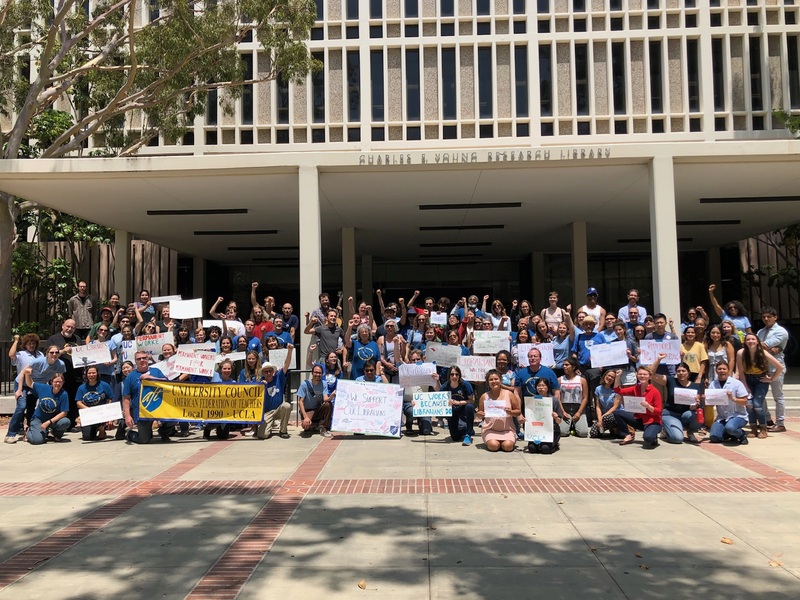 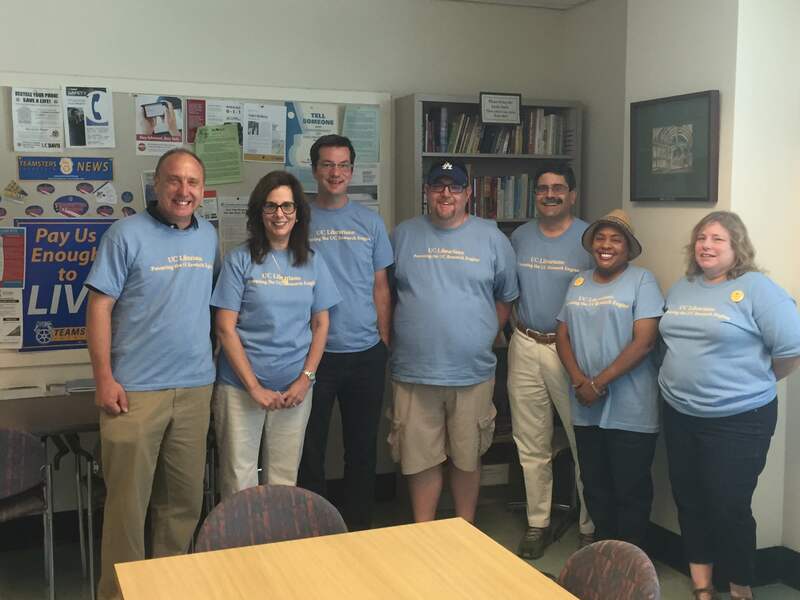 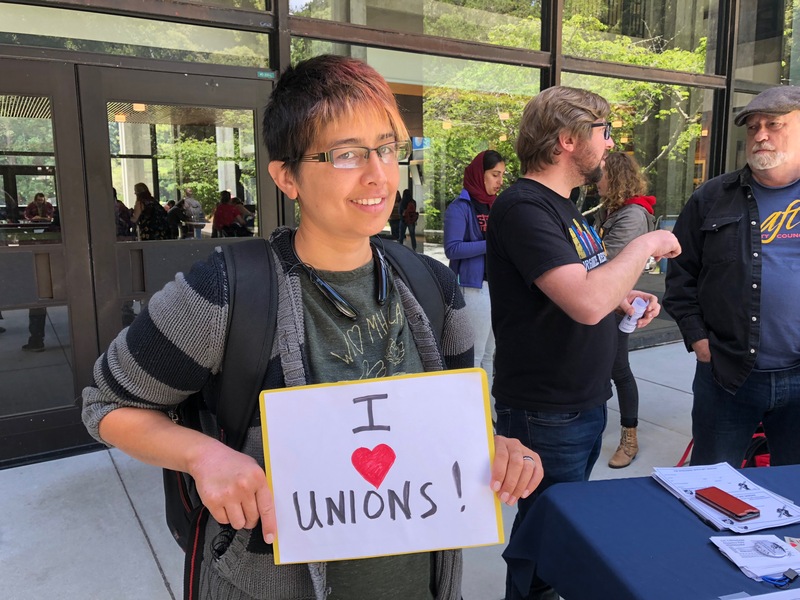 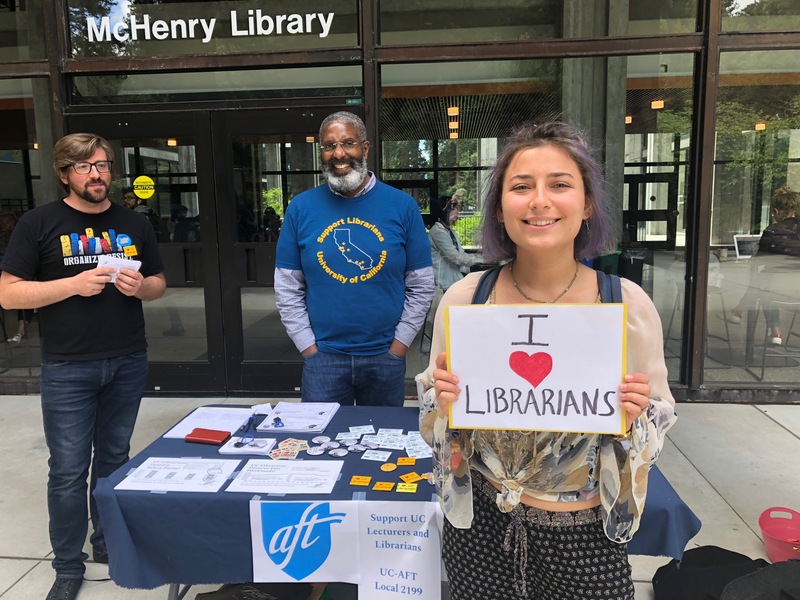 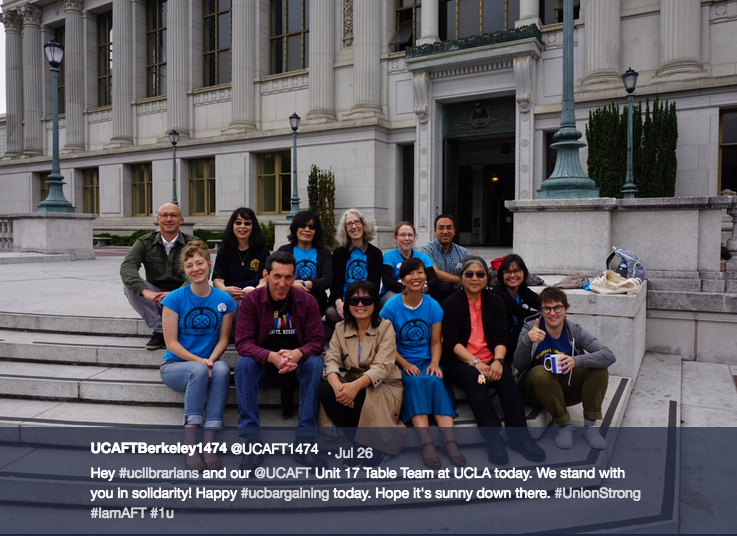 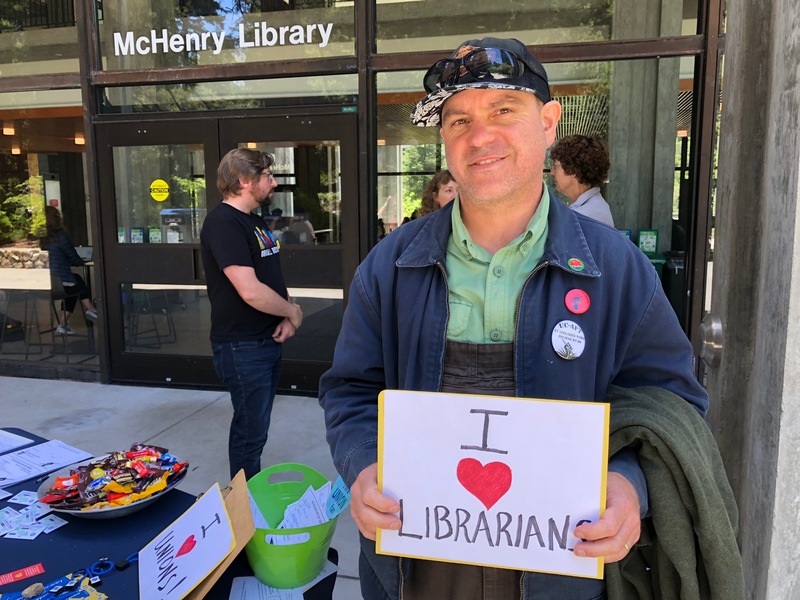 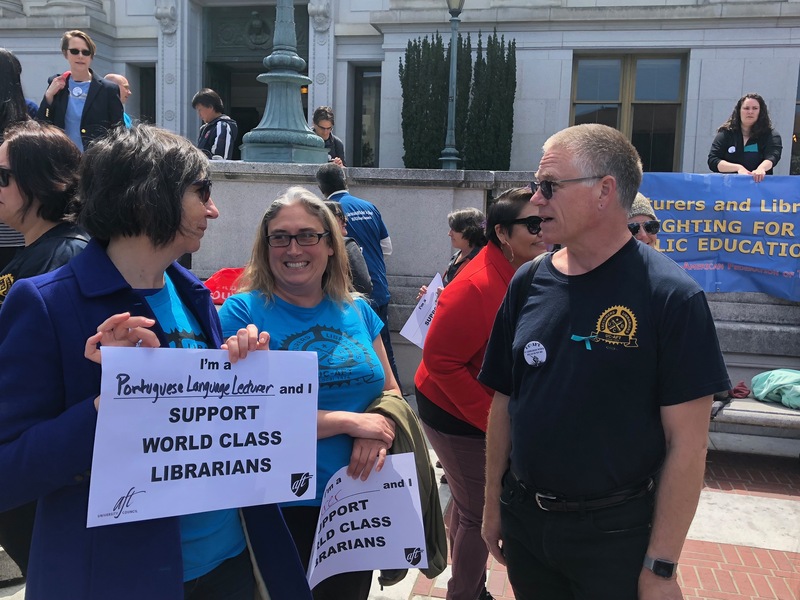 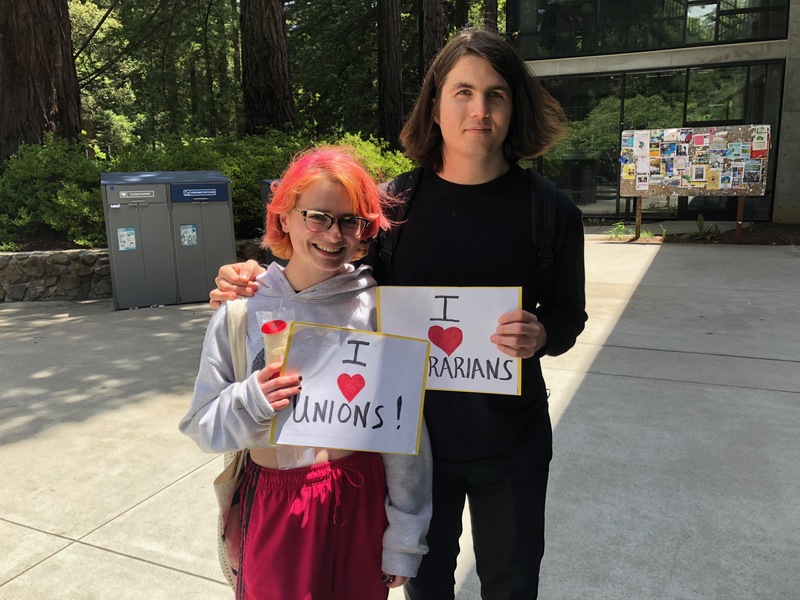 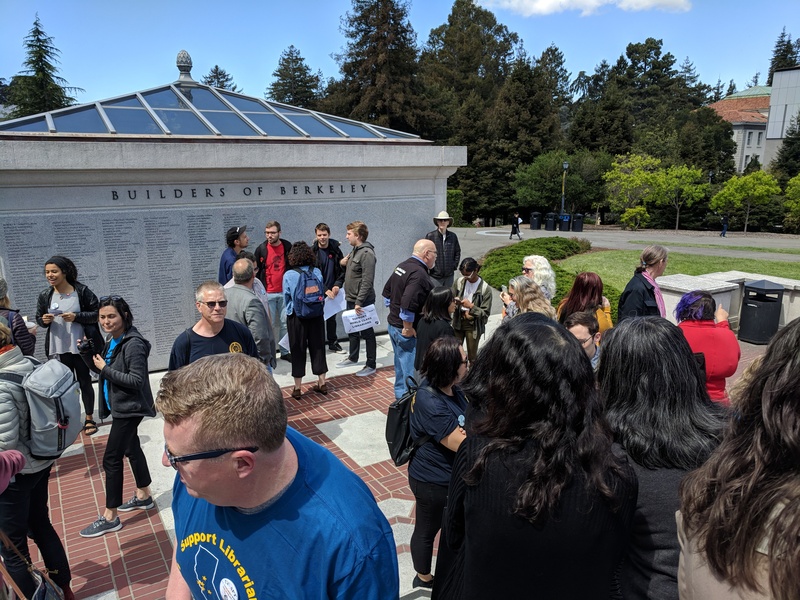 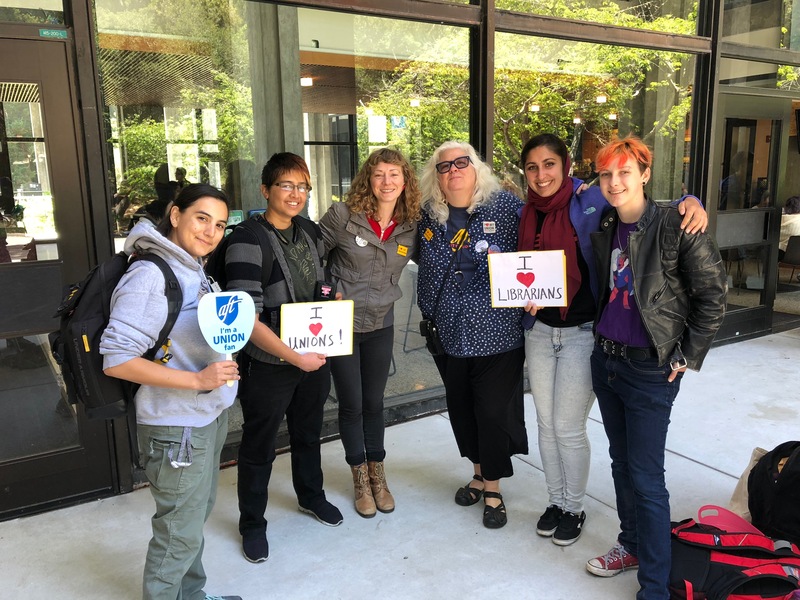 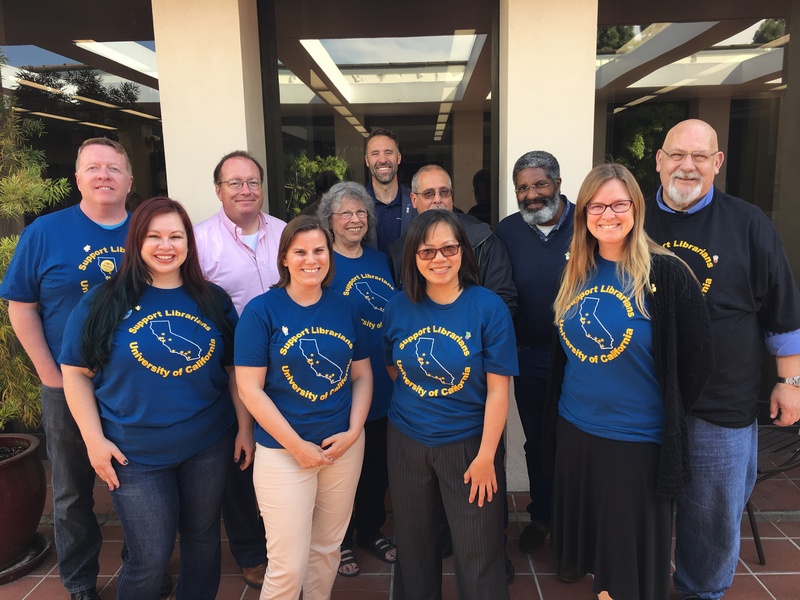 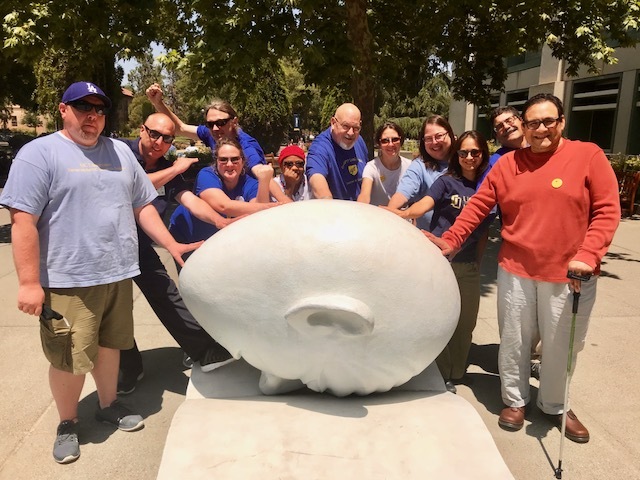 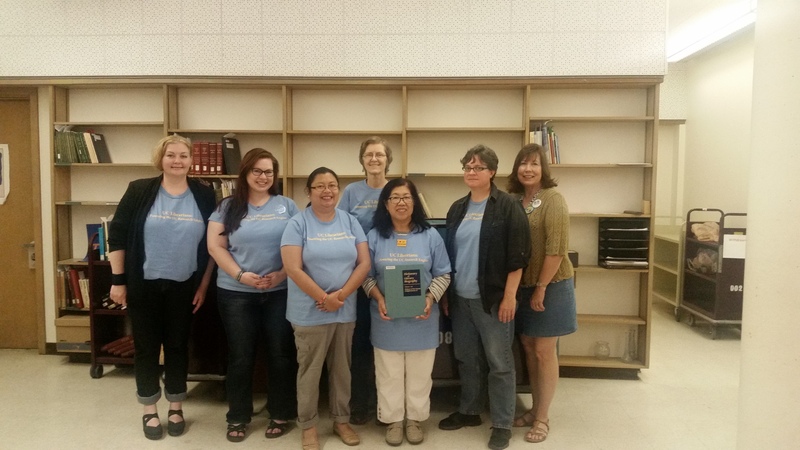 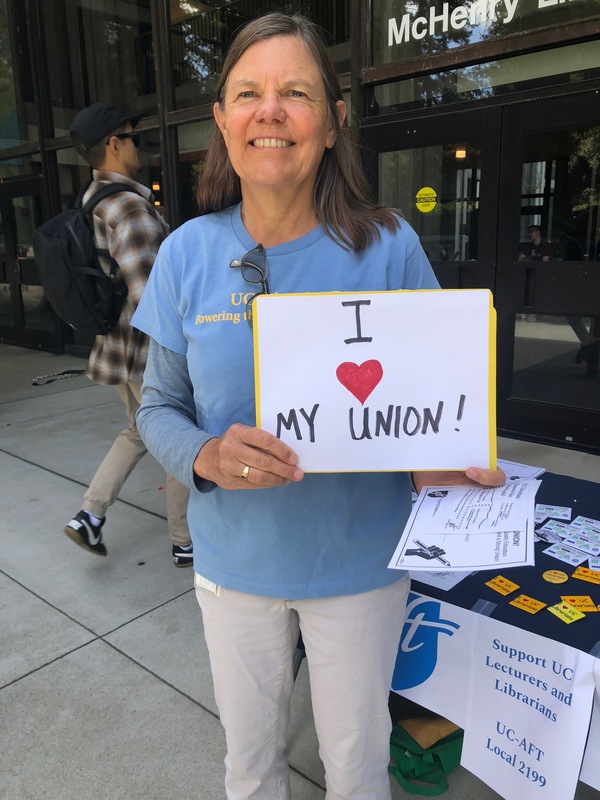 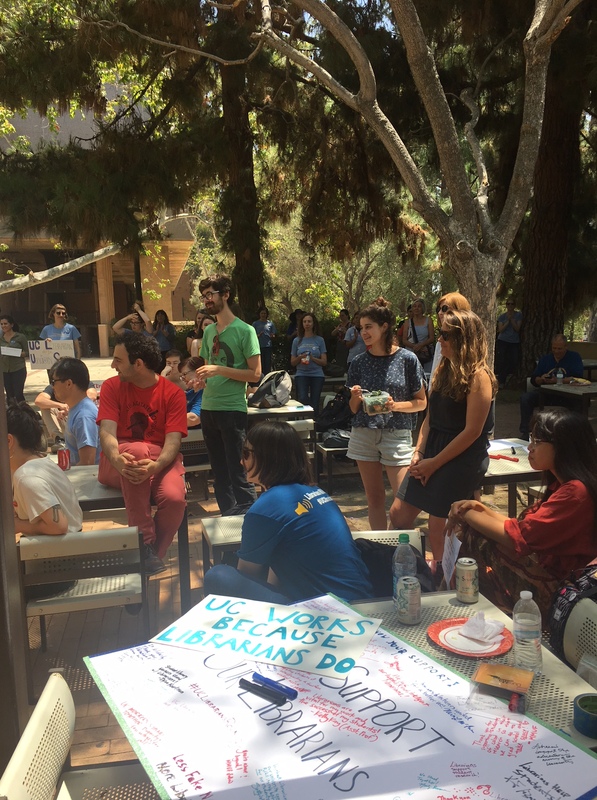 T-shirt Thursday- June 7, 2018 UC Davis librarians gathered today at Robert Arneson’s iconic Bookhead in front of Shields Library to display solidarity during librarian contract bargaining.